Humans enjoy five or more different tastes namely: sour, bitter, salty, umami (associated with meat), and sweet. We can taste sweet things thanks to two proteins generated by two separate genes. 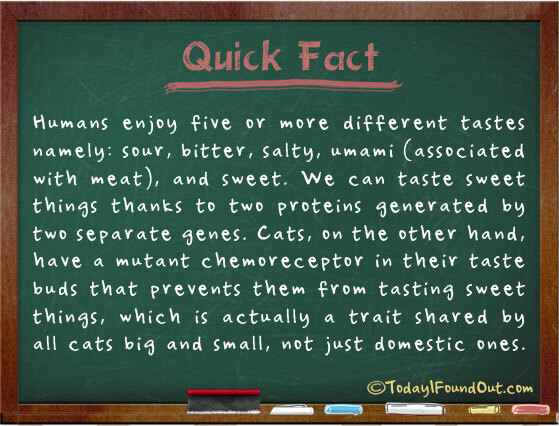 Cats, on the other hand, have a mutant chemoreceptor in their taste buds that prevents them from tasting sweet things, which is actually a trait shared by all cats big and small, not just domestic ones.